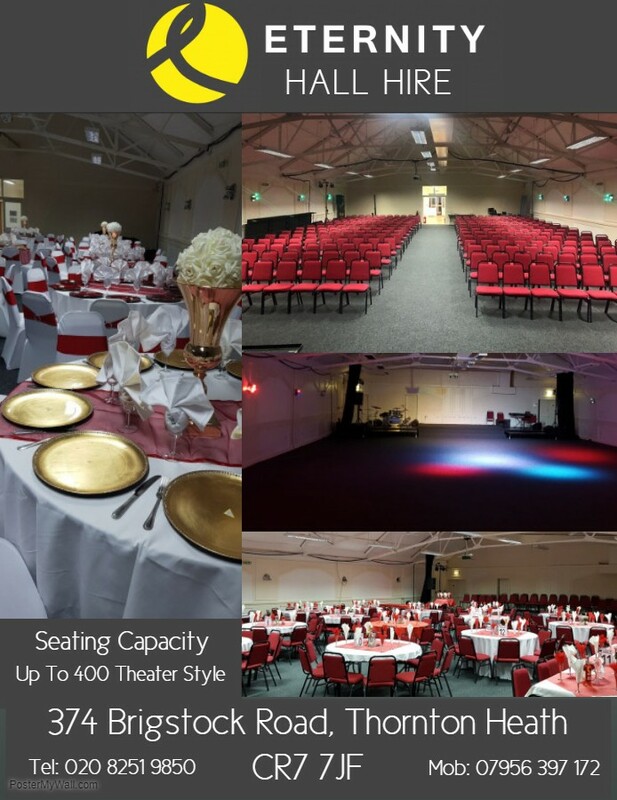 Eternity Halls has a huge main hall, big enough to fit 400 people inside (theater style), aimed for weddings, clubs, seminars and conferences. It also has 2 Rooms aimed for meetings, teaching, training etc. 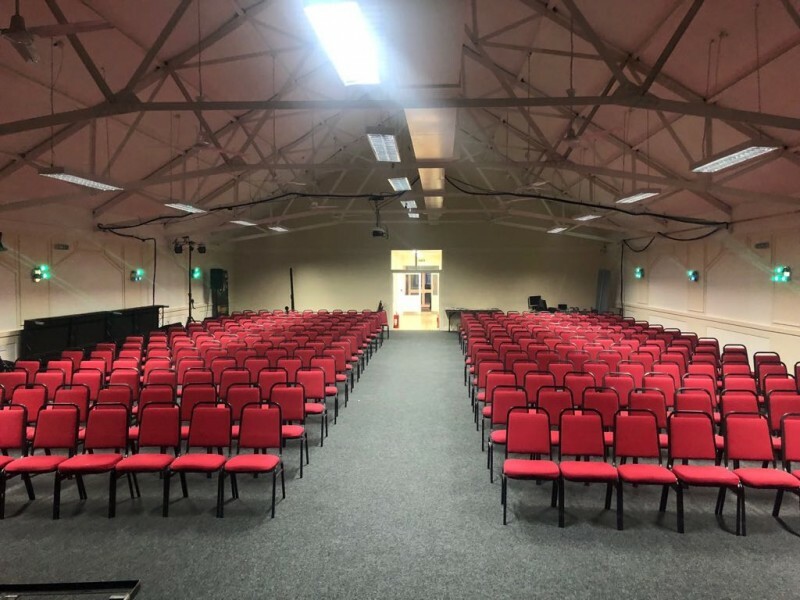 Capacity in Main hall up to 400 (seated), Capacity in Medium up to 50 people (seated), Capacity in the small room 10 (seated). There have been 0 reviews of Eternity Halls. If you would like to send Eternity Halls a booking enquiry, please fill in the form below and click 'send'. Perhaps some of the following halls within 5 miles of Eternity Halls would also be of interest?